Confused by the Wide Range of Aesthetic Procedures? Our Team is here to help. SUGAR LAND FACE AND BODY – As the only practice in the area to combine dermatology and plastic surgery, Houston Dermatology and Plastic Surgery has grown to two conveniently located offices. Plastic surgeon and founder Dr. Eric Humble and dermatologist Dr. Filiberto Cedeno Laurent have joined forces. This duo maintains a clear focus on high-quality patient care and satisfaction by providing comprehensive dermatologic and plastic surgery services. Right now is the perfect time to give yourself the gift you really want—vitality, beauty and confidence. Schedule a consultation, meet the Houston Dermatology and Plastic Surgery family, and explore the possibilities together! 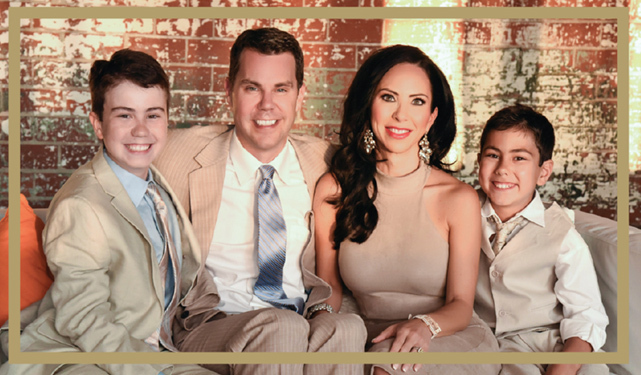 Dr. Humble, his wife Dr. Lin and their boys Kaalan and Talan, and Dr. Cedeno Laurent, his wife Marcela and kids Jose and Regina wish you a beautiful holiday!